Note from Marsha Stopa: There was a ripple in the blogging world last week when we learned that John Yeoman had passed. John ran several acclaimed fiction writing programs at his membership site Writers’ Village and was a fixture since we launched this blog. We counted on him popping into our inboxes with a wry observation, slightly cynical question or a witty comment on posts. John was a charter member of Serious Bloggers Only, fond of long, analytical and challenging debates in the forum. His clever posts were winners in every SBO blogging competition. Ever the delightful gentleman, he was widely respected for his experience, insight and willingness to help. John sent this post to me on June 10, shortly after he became aware of his medical issues, to consider publishing within SBO. We can’t be sure, but it may be one of the last pieces he wrote. So publishing it where everyone can benefit is more fitting with the kind and generous soul that he was. He is deeply missed. Membership sites are potentially the most profitable way to make money blogging. Your product is digital, so you have no inventory or shipping costs. You can operate wherever you have computer access, even from your home (as I do). If you create your own product and do most of the techie stuff yourself, your overheads are negligible. So your pre-tax profits might be as high as 80% of turnover. What other kind of business can claim that? Above all, you have to make a subscription sale only once. Subscribers on an automated payment profile will then pay you regularly, maybe across several years — provided your program is good. Your cash flow can be excellent. And you can usually predict your income stream a year or more ahead. So why doesn’t every blogger run a membership site in their own niche? I’d guess that nine in ten subscription programs fail in year one, and the tenth is struggling. Why? Because it takes years of error to learn what works. Most bloggers (I suspect) give up. Between 1986 and 2000, it grew to be the UK’s largest indie publishing business. So I already knew what I was doing, didn’t I? Yes and no. It still took me four years of pain — starting with no technical knowledge whatsoever — to build an online subscription business that worked. I called it the Writers’ Village Academy, a coaching program for serious fiction writers. With more than 2000 subscribers since 2012, the program now brings me more money — on auto-pilot — than I can reasonably spend. Like to do the same? Ho, ’tain’t easy. (If it were, everybody would do it. And they’re not, are they?) But I’ll give you a head start. Before I do that… I’d like to put on record the vast debt of gratitude I owe to Jon and Marsha at Serious Bloggers Only. Their personal advice and support have been priceless to me over the years in building my online business. Whenever I hit a log jam, they seemed, uncannily, to have the answer. My sincerest thanks! Here are Golden Precepts that have worked for me. Every niche and business is different, of course. But they might save you a load of pain and error, whatever niche you blog in. Choose a niche you’re passionate about. You’ll have to live with it a long while. Choose a topic within the niche that you know a lot about. You can’t just scrape info off the web untested, change the words and re-organize it. People do that, but their programs fail. Because folk can find that stuff anywhere, for free. Why should they pay you for it? Your personal authority must be highly credible. It should shine out of every powerful word in your program and promotions. In time, major influencers in your niche will seek you out to co-host webinars, podcasts and conferences. So you’d better know what you’re talking about. BTW: None of those co-ventures are necessary when you launch your program. They’re icing on the cake. I’ve never needed them. But you won’t get them unless you know your topic inside out. Give your program a perceived uniqueness. When I launched the Academy, I already had a PhD in Creative Writing. Hardly anyone else in the world could claim that at the time. My own doctoral research had given me a special insight into how to write novels and stories that get published. My expertise was, indisputably, unique. Two years later, I published four novels. They gained more than 100 5-star reviews across five Amazon sites in five months. Those novels added to my credentials. They proved: I walk my talk. If you can’t — or don’t wish to — brand the program strongly under your own name or identity, organize your materials into an original formula. Give it a proprietary product name or acronym. Explain why your formula is uniquely beneficial. Promote a branded “product“, a self-contained formula. So people don’t buy just you. Then one day you might be able to sell your business, if you wish. Beware of putting yourself irretrievably in the loop. I can’t emphasize that too strongly. Some people are parasites. (Okay. It’s human nature.) They’ll squeeze you dry, and you’ll find yourself working, for your heaviest users, for $5/hour. Create an automated system that gives subscribers the perceived benefit of one-on-one feedback (if that’s essential to your program) without you being in the loop. My solution was a private member forum. Members critique each others’ work there, and I nod in occasionally. Obvious, in retrospect. But it took me three years to think of it. In that time, I’d been driven mad by folks who thought they’d found Santa Claus, grabbed all my goodies, mailed me a joyful testimonial, then canceled. My system is now 95% automated. I spend my time largely on admin and troubleshooting. (“I can’t log in.”) With foresight, I could have set things up that way at the start. Ring-fence your time from day one. That way, sanity lies. Give proof factors, case studies, testimonials, and third-party test results. Gain early testimonials from beta testers. Enroll them in the program at no fee, and ask them to work it hard. Ideally, they should be people who have credibility in your niche, by their experience or occupation, so their names will carry weight. However, they needn’t have a web presence. Ask them for a usable but candid review of your program in their own words. A testimonial that’s too poetic in its adulation convinces nobody. A Tip: Do not post — as some enthusiasts do — hundreds of ecstatic testimonials on your sales promotion page that scroll down to Australia. I doubt if anyone reads them. And, to me, they scream snake oil merchant. Just a few, impressive testimonials will do. Of course, be sure to ask your beta testers to alert you to errors, dead links, misspellings and other problems in your program. Needless to say, don’t write your own testimonials. No program can succeed without integrity, and that starts on day one. Later, you’ll gain more unsolicited testimonials than you can use, if your program works. Make it very easy for people to join your program on a rolling subscription. Let people test it for no charge for a trial period of, say, four weeks. Or for a token fee, refundable when they pay their first real sub. But make sure they’ve set up a valid payment profile, direct debit mandate, or the equivalent, before you send them anything significant. A Tip: Beware those sweet folk who’ll say, “Enroll me for a month without a payment profile, send me your stuff and, if I like it, I’ll sign up.” You have confidence in your program, don’t you? So you might be tempted. Don’t be. You will never get your money. Incidentally, it’s often worth asking people to pay a token fee up-front — e.g. $3 (refundable or not). It’s a qualifier. If they pay it, they’re serious. It also deters those with dodgy credit cards, or no money in their PayPal account, or who never intended to continue with you anyway. When you launch the program, price it low — initially. You can — and should — increase the price later, when you can point to 1,477 satisfied members, or the like. A Tip: It’s better to raise your price, slowly, testing as you go, than to suddenly drop your price. Or to offer a big sales discount. That will infuriate your members who joined at a higher price (they’ll demand the same deal), and it has a smell of panic about it. Beware of “giving it all away” with a price that’s permanently low. Plan to at least double your price within, say, six months. The higher your price (within reason), the fewer time wasters you’ll get — and the greater your overall revenue. I delayed this step far too long, afraid that I’d gain no members if I hiked the price. But when I doubled my price, it made no impact whatsoever on my intake of new subscribers. If your program is excellent, you could price it far, far higher than you think. (Even add a zero to the fee.) You’ll still get some subscribers. Incidentally, when you increase your price, leave your existing subscribers alone. Let them continue at their original fee. If you ask them to sign a new mandate at a higher price, they’ll cancel. And rightly so. Aren’t they due a special rate for life as your cherished Charter Members? Be prepared for a few “problem” subscribers. They’re the ones who forgot that they’d signed up. Or who never read your terms of service (even though they’re set in 18 point type right beside your Subscribe button). Or who are simply mad. They’ll whine when their first subscription hits. Maybe they’ll raise a PayPal or credit card dispute. If your business is ethically run, problem subscribers should account for less than 1% of your member base. But a few cranks can make your life hell. Refund them at once. Don’t challenge them, even when they’re wrong. PayPal and the credit card companies will always find in favor of the customer, regardless of the merits of any case. It isn’t worth the risk of seeing your PayPal account limited while you contest a claim over a few dollars. Email them a message of exquisite courtesy. Apologize and make them right (especially when they’re wrong). Decent people will have an attack of conscience and send you an apology of their own. Many times, I’ve seen a crabby customer — handled well — turn into a friend, and stay with me for years. Present your course materials at regular intervals, ideally weekly or every two weeks. (A monthly schedule lacks impetus.) I’ve found the easiest way is to put each module on a dedicated page on my website, each with its own cryptic URL. Why cryptic? That way, rogues can’t work out that module #1 is named “[site url]/plotting1,” therefore subsequent modules must be named “[site url]/plotting2/3/4,” etc. And so gain my entire year’s program without further charge. Password protect those pages so Google spiders can’t pillage your hard work and splatter it across the web for the world to access. A Tip: Google can and will access the root directories of your site (subject to how the site’s set up) and steal the files you’ve hidden there, regardless of any page passwords. To protect copyrighted or sensitive files, I keep them in a vault at Gumroad.com. Members are given a special password to retrieve them. You can find many other vaults like that, often for free. They’re indispensable in these days of Google piracy. Find a payment portal that lets you create subscription profiles for members, in a flexible way. I use PayPal, although I (and plenty of my members) dislike it. No other payment portal, to my knowledge, lets you define a free — or token cost — trial period for new subscribers. Or pause, then re-activate, a member’s payment profile at their request. You need that flexibility. PayPal’s quirks, often maddening, are a small price to pay for it. A monthly payment schedule is about right. Charge subscribers every week and you’re goading them — every week — to ask, “Do I really need this service?” Hit them with a large sum every quarter (or year) and they’ll certainly ask themselves that question. Set up an email program (say, at AWeber or MailChimp) so subscribers get an email in an automated follow up sequence every few days. Each email gives a link to the next module. A Tip: Both those programs offer you ways to integrate members’ PayPal profiles (or their accounts with other payment services) into an automated email sequence. So if a member cancels at PayPal, they’re automatically switched off your live email sequence. Or vice versa. Don’t be tempted — unless you’re technical and truly know what you’re doing. A friend wrecked his business when he tried that. He set the system up wrong and found that AWeber (or it might have been MailChimp) had somehow canceled all his members’ PayPal profiles. Once a PayPal profile has been canceled (as opposed to suspended), you can’t re-activate it. When the formal part of your program ends (after 12 weeks, 13 months, or whatever), encourage subscribers to carry on paying you regardless. Call them alumni. They’ll still gain access to you — or a simulation of you — or aspects of your service. Amazingly, many members will stay with you, out of inertia or genuine loyalty, indefinitely. Consider whether your entire subscription program could be delivered by email follow-ups alone. It’s possible, if your materials are pithy. I did it successfully with Story PenPal, a highly simplified, low-budget version of the Academy. It presents story ideas every week — no more than 1000 words per email — with a link to a user forum. Expect a 50% cancellation rate during any free trial period. Don’t take it personally. Many people will join on impulse, having no motivation or means to pay. After some 4-5 months, the cancellation rate abates as people grow loyal to your program. A little case study. When I ran the Marketing Guild, I sold £495 ($800) annual memberships to business owners via workshops in rented hotel rooms. (Today I’d use webinars.) On average, across the year, if a room held 100 potential members (company principals), 32 would sign a Standing Order or direct debit mandate as soon as I closed the sale. That was after I’d enthralled them for two hours with quirky marketing ideas. I promised subscribers a 30-day “cooling off” period before I processed their mandate. Indeed, I urged them — for their peace of mind — to date the mandate 30 days ahead. Meanwhile, I mailed new subscribers a big box of materials, at my own expense. They could keep it whether they canceled or not. This was the thud factor. It mitigated post-purchase remorse. It made their subscription real. Exactly 50% of people would cancel within 30 days. That meant 16% of the room stayed with me, and many stayed a long time. Across 15 years, and 52,000 delegates, those ratios never varied. So I could budget to lose as much as $5000 per workshop on marketing and hotel costs, certain that I’d get it back within a few months and make a good profit in year two. Moral: learn your ratios and trust them. Of course, I needed a lot of capital to keep funding my promotions and hotel rooms. (At one time, I was throwing the equivalent of $50,000 into direct mail every month.) Luckily, I had the money. Subscription programs — where people pay ahead — are cash rich by their nature. However, you don’t have those up-front costs with an online program, delivering a product or service digitally. So you need little cash to keep it running. Cancellations? If the program costs you little or no money to deliver, they don’t matter. Provided a healthy number of subscribers stay. But beware (as I’ve said) of giving anything of value — especially your own time — until people have paid you at least one subscription. For example, members who join the Academy on a four-week free trial don’t get access to our private Forum until week five, after they have paid their first subscription. Prepare to top up the membership base continually. 1. When people join my free mailing list, they get a no-charge 14-part mini course in fiction writing, delivered every two days. Every second module contains a small clickable ad for my paid-for Academy program, and some people do join that way. Halfway through the mini course sequence, and at the end, they get a hard sell. That also works. If they still haven’t joined the Academy, they revert to my general mailing list and receive emails every week, alerting them to my latest blog posts. I run the posts to build a relationship with my followers. The posts also bring traffic to my site and list via organic (keyword) search. 2. Every 6-8 weeks, I hit my entire list with a hard sell. But I test each hard sell message first on small list segments. A Tip: Email programs like AWeber let you make split tests of up to four equal segments. But these tests are almost useless. Why? The names — chosen by AWeber at random — are unknown to you. You need to know who you emailed with a given message so you don’t, inadvertently, email them again with the same offer. So I devised my own algorithm. It splits my list roughly into equal-sized segments so I can tell exactly which names have received which offer. Note: these splits only work with a fair-sized list of, say, 4000 names or more. Trying to split test just a few hundred names this way will yield meaningless results. Some hard sells (usually my cleverest ones) flop. If one works, I roll it out to the entire list. But it’s important not to “burn” a list with too many hard sells. People just tune them out or unsubscribe. A reasonable ratio, I find, is one hard sell per 5-6 emails having beneficial (non-sales) content. A Tip: That hard sell must be hard. Ruthless. No jokes. No fluff. Fun doesn’t work when you’re asking people to part with money. I could easily automate my tested hard sell emails and schedule them — at 6-8 week intervals — a year or two in advance. Given the subscribers who drift into the Academy by themselves, from the ads in the follow-up sequence on my general list, I wouldn’t have to pay any further attention to sales promotion whatsoever. The list is the foundation of a membership site. At the Marketing Guild, I rented my lists in as many as 100,000 names at a time. But the list rental rules have since been tightened up. Although you can still rent or buy email lists, they’re likely to be dross and/or illegally acquired. Ethical email services like AWeber, MailChimp, etc. won’t let you use them. And rightly so. Each name on my list is notionally worth £5 (around $8). That benchmark is important when I’m advertising for sign-ups. A name must cost no more than £1 to acquire, to cover its hosting costs across a long period and still yield a profit if and when it converts to a sale. A Tip: Don’t be too hasty to discard names if they haven’t converted to a sale over a long period, provided they’re still opening your emails. Although most of your paying members will come from fresh names, a significant number will say, “I give up!” and join you after a period of several eons. 1. Guest posting at other people’s sites. In 2014, I published around 80 guest posts across 30 writing sites. I found only one site that reliably brought me 60-80 sign-ups per post, plus a few that averaged 15-20. (Others yielded just a handful of sign-ups, although the quality of the posts was much the same. Each post took me two days to write/edit, so the notional yield from my best site was £300-£400 per post. That was an acceptable yield but hardly wonderful. Lower performing sites were a total waste of time. A Tip: Don’t be fooled by techies who tell you that your backlinks in guest posts, whether successful or not, will bring you valuable “Google juice.” Baloney. You can’t put Google juice in the bank. Now I guest post only by request and for fun. I don’t need guest posts any longer to build my list. A Tip: Don’t be daunted by my so-so experience with guest posts. Bear in mind that I’m working in a narrow niche with very few prime sites that accept guest posts. Broader markets — like self-help, dating, entrepreneurship, etc. — will have hundreds of high-traffic sites. One good post at a prime site might bring you thousands of sign-ups, especially if people share it around. After testing many sites, forums and ezines (newsletters), I found only two that gave me a worthwhile ROI. And I had to rest those vehicles for several months before I could advertise again. Too many ads, too often, brought diminishing returns. Banner ads on sites and forums have never worked. Nor could they work, on reflection. The math is against it. Why? The average click-through rate for banner ads is just three-tenths of one percent or 0.3%. That’s the industry average according to imediaconnections.com. So only three in 1000 people who see your banner ad will click on it. Even if 40% of those people join your list (a common sign-up ratio), you’ve acquired just one name. How much will you be charged for that banner? Anything between $100 and $1000. Even worse — if it can get any worse — are rotating banner ads. (Now you see them, now you don’t.) They appeal only to kiddies who like duck shoots. Google and Bing ads proved a total waste of money. That said, I didn’t have the patience to play games with longtail keywords, click bids and SEO. If I’d had the mind for such voodoo, I’d have been a hedge fund manager. Facebook ads? They come well reported, especially since FB changed its advertising procedures so you can now target people in complex ways by their affinities rather than, simplistically, by their interests. But like Google ads, Facebook ads are a steep learning curve. I wish you luck. Every post has a prominent sign-up box above it. Every high-traffic page has one too. And the sign-up box is always at the top of the page. A Tip: A sign-up box at the top of the page — no matter how ugly it looks — will bring you three times more sign ups than one hidden in a side panel or at the bottom of the page. Jon Morrow says so, and it’s true. I’ve tested it. Qualified names? I think not. How do you write those posts? I refer you with great respect to SBO and Jon Morrow. Follow his advice and you won’t go wrong. Pinterest also brings me a lot of sign ups, though I can’t easily track their conversion to sale. So I’ve found it important to pin the main illustrations in each of my posts to Pinterest. Magpies are wonderful things. When you reach the point when you don’t have to promote your site to get traffic, but you can rely on magpies alone to top up your list, you’ll know you’ve arrived. Other sources of names #1: Social networking. I promote all my weekly blog posts at Facebook, Twitter (via Triberr.com) and Google +. However, clickthroughs from these sources are sparse — although Triberr is supposed to give my posts a reach of millions via the tweets of fellow Triberr members and I have a respectable 4,700 Google+ followers. Maybe I don’t understand social networking? (Frankly, the more I look at it, the less I want to.) I’ve seen desperate bloggers try to penetrate the noise by posting as many as 100 messages a day on FB, Twitter and Google+, using automated systems. Splat! Does the Internet need even more noise? I don’t. That said, I have gotten around a dozen sign-ups to my free mini-course whenever I’ve posted a hard sell at Google+. But I don’t do that more than once a month. Call it self-respect. Stumbleupon? I tried it a few times. Didn’t work. Gave up. Ditto, Medium.com. Ditto, Hubpages. Reassuring conclusion: You can be a total dummy at social networking, as I am, and it won’t hurt your membership site one bit. Once you have a good market reputation, a tested product and (optionally) a big list, you can explore joint ventures (JVs) with other site owners in your niche. I’ve had excellent results when promoting somebody else’s non-competing program to my list, and, in return, they’ve promoted my program to their list. No money changes hands. There’s no risk. Results on both sides are easily tracked. If both your lists are of the same size and quality — and you can trust each other to play fair — it’s a win-win. I’m less sure about complex deals that involve a site owner promoting one’s program to their list in return for a financial commission. I ran two such JVs. They were profitable but, in retrospect, not worth the hassle. Such deals are simple to set up if you sell a digital product for a one-time payment. Subscription services are more problematic — for example, how do you agree on a commission? I gave my JV partner the first month’s commission from every subscriber gained from their list who stayed with me past the free trial period. That worked. But it was difficult to administer. Software programs exist that can automate JV commissions, but they’re not worth exploring until your list is vast. Affiliate programs. Never tried them. Never wanted to. Using the techniques above, I have now built a money machine that yields me a six-figure annual income, and 95% of it looks after itself. But it took me four years of pain and error. If I were to start again, I’d invest my time in a massive program of guest posting. I’d also run low-cost text ads, testing as I went, in selected newsletters in my niche. As my list grew, I’d phase out the guest posts, continue with the ads and make sure I ran a great post on my blog every week — to keep my list happy and bring in magpies via organic search. You run it totally ethically from day one. Shortcuts don’t work. The real profits lie in the after-market — the revenues that roll in from happy subscribers year after year after year. Only ethical businesses survive beyond their first year. You love what you’re doing. Otherwise, you’ll burn out. 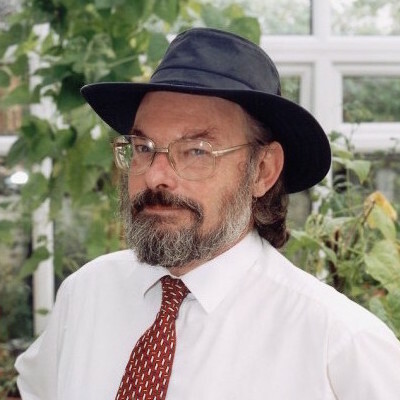 About the Author: John Yeoman was the founder of Writers’ Village, and a much-loved member of Serious Bloggers Only. Sadly, he passed away earlier this month. If you knew John and would like to leave a comment please do so below. Although I knew John through his blog site and his writers’ program for the last 2 years, I hadn’t come across this site before, so this is his last offering for me. What a great post. Everything I read of his was useful, and the comment threads and discussions with him and other bloggers was equally enlightening, both on his site and also on mine, to which he was a generous commentator. He will certainly be missed. Always loved John’s intelligence, wit, insight, and willingness to help writers. He will be missed. Glad we have this last (very useful) post from him. John was a hero and he’ll dearly be missed. His last post has really touched me. I did not have the pleasure to know John personally. But through his writings, he was generous and giving. While he will be missed, his indelible mark on writers will go on. Such an informative post. I was in John’s programme and wrote for his site a few times. I also chatted to him about blogging queries via email. He was funny and helpful. I think he’ll be missed around these parts. John (or Nick) was a big source of inspiration! We will all miss him. First I want to thank you for bring my attention to John. I didn’t know him until I read this post, but after reading it I liked his style and went back to find more of his writings. Although my niche isn’t in fiction writing at all I am in the process of starting up a membership site so it’s kind of weird how this popped up into my inbox today. I like a lot of the advice that he gives, especially on things you shouldn’t waste time or money on. In my experience, I think the hardest part of running a community site is always making the members feel as though they are getting proper value. Unfortunately, this isn’t something that you can always control because most of the time you can only get value when you participate. Some people believe that everything happens on autopilot when they pay for something and as we know that isn’t the case. As for using Paypal, I would recommend people take a look at a number of different membership plugins that you can use that are compatible with Stripe. Head and shoulders better than Paypal. Thanks for sharing John’s wisdom from his personal entrepreneurial journey, here. Impressive character -to dedicate a lifetime of helping others enhance their writing talents and build their online business. A legacy worth remembering and talking about. Wow, this post is literally worth its weight in gold. As a creative writing instructor looking to grow my coaching and workshops business it’s very inspiring. Thanks to Jon, Marsha, and their team for publishing. And to John’s family, my condolences — I’m very sorry for your loss. Based on this post alone John was clearly a tremendous — and ethical — force for the online writing community. Great piece of knowledge, Thanks for sharing. What wonderful insights from this article. I appreciate the clear and detailed suggestions for a subscriber site. I did not know of John before reading this article. I’m sorry to hear about his passing. Thank you for sharing his guest post and wisdom. Thank you for the post. I’m sorry to hear of John’s passing, if it were not announced here, I wouldn’t have heard about it otherwise. I received much from and I enjoyed his blogs and his wisdom. RIP John. You have left a wonderful legacy. The conclusion part reminds me of what I ought to be doing at the moment. And that’s exactly what I’m gonna do. It feels good to impact people’s life, even in death. I cherish this! Very complete and unique post! I learned a lot from it and this would be amazing to do in the future, I don’t have the audience to start a members area right now. I am sorry to hear the news about John passing away. Great and timely article. This is a very sad news. John was a blessing to many novice writers. He was very generous in sharing his knowledge and dedicated to help other writers achieve their goals. There are no words I can offer that will make this any easier for all of us, but hopefully just knowing that people especially in John’s niche, SBO and some of us are really blessed by his advice and kind words..
And you know, you’ve played well. You’ve written well and its my joy that you’ll not be forgotten soon. And that’s what Jon morrow has always pointed out. Its not the number of guest post or articles published on our blogs, its not about our reputation or the enemies and friends we belt… but the people we helped and transformed through our words. And that’s what truly matters at the end. It’s sad to hear John Yeoman passed away. I read a few of his articles and they were always filled with a special kind of wisdom. I can’t believe he is gone. This post shows us once more the kind of amazing writer he was. RIP, John! You will be missed. I didn’t know John very well, but I read his blog and wrote for him once. He actually published my first ever serious guest post. He reached out to me and asked if I would like to write for him when I was still new to the blogging community and nervous about networking. So it meant a lot to me. He was so genuine and encouraging. Working with him made me very motivated. And he made me feel very good about my writing. I looked up to him in many ways. Wish that i have a good talent in writing. I guest i prefer non membership site. Maybe just a service that people like to use. Thanks for sharing this incredible useful info. Memberships sites are totally awesome and def easy to do. Because of that, everyone wants it which makes it difficult for success. Through I believe if you keep trying,someday you will get there and create the profit you deserve. Every successful person generally starts from no where.